Parish Councillors are not used to publicity. They do their job in their local communities quietly, representing their electorate and providing access to facilities, such as parks. 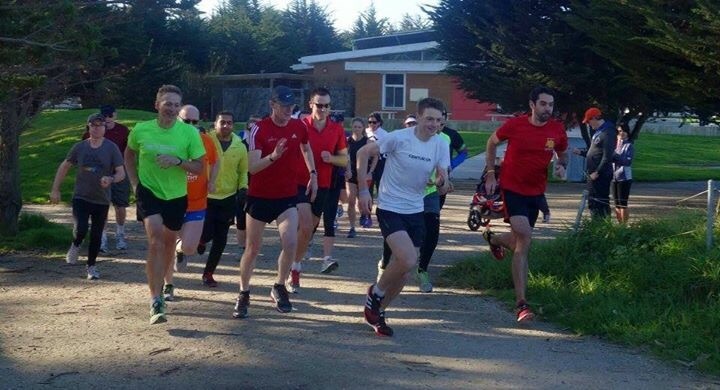 This week, however, Stoke Gifford Parish Council in South Gloucestershire managed to gain coverage on every major media outlet as they told parkrun that they could not use Little Stoke park to run their weekly free timed 5k runs. No big deal, you might say. Are they not merely representing the views of the locality? Well, this is a big deal, and it is questionable whether they really are representing the views of their electorate. Two years ago this group of 9 individuals seemed delighted to have a local parkrun. The Parish Council supported the event and the benefit it provided for the local community. In a country facing terrible rising obesity levels and a breakdown in community relations, it is not hard to work out why a volunteer organised parkrun that encourages everyone (from children, to mums, to the elderly) to run 5km in a friendly, non threatening environment is a good thing. Yesterday, they dramatically changed their mind because the park needed maintenance as a result of people using it (is that not what parks are for!?). They clearly have a gap in their budget, and wish to have a not for profit community running event fill it for them. And instead of asking volunteers to help through giving of time to help maintain the park, they have instead insisted on being paid. The Stoke Gifford Parish Council is practising parochial economics. They talk about maintaining a low council tax, yet they completely ignored the economic benefit gained from having hundreds of people come together to exercise in their community. The savings for local health services are evidenced in parts of the country who actually care about these things, as are the upsides for local shops and cafes with increased trade from those coming from outside the immediate area to the parkrun. It’s an ill thought through position by the Parish Council and sets a dangerous precedent. Anyone that cares should be encouraging the UK Government, Opposition parties and media all to come out and condemn the dogmatic and ill advised decision as soon as possible. 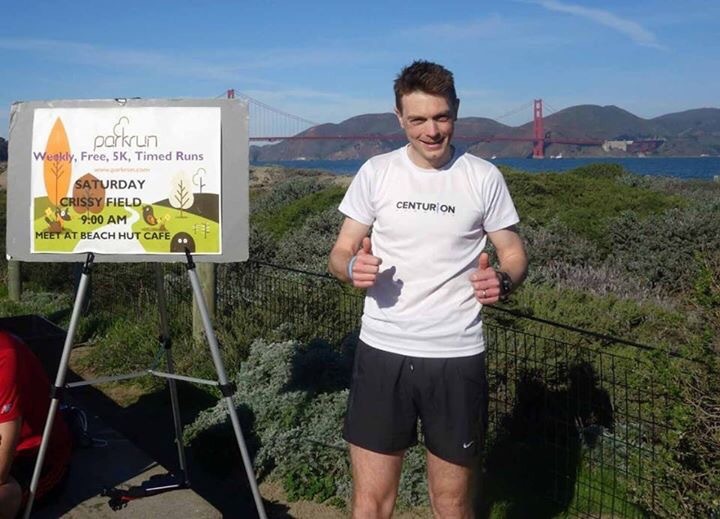 Parkrun has been one of the best and most exciting examples of how to increase participation and encourage people into exercise in a positive environment. Millions have been attracted to running as a result. How can that be a bad thing? If anything, Stoke Gifford Parish Council should be paying the parkrun volunteers for the work they are doing to help their local community. So, please, Stoke Gifford Parish Council, see the big picture, stop practicing parochial economics, and start embracing this amazing local community service you are getting free of charge. For the last week I have been lucky enough to have been working in San Francisco. I have managed to get out every day for an early morning run. My final run took me to the Golden Gate Bridge just in time to see the sunrise over the city. Immediately under the bridge is a fence with a sign on it containing two hands. It reads “Hoppers Hands” in honour of a bridge worker who managed to talk a significant number of people out of committing suicide from the bridge, sadly the world’s number one suicide spot. When reaching the sign runners have nowhere else to go. However, before turning back they press their palms agains those on display. It is said to symbolise that the bridge is not the end, but a turning point in life. A nice thought as you run back towards your destination and the rest of your life. And, as I leave this beautiful city to head home. You are a fabulous runner who delivers repeatedly exceptional performances. I admire the way you represent our country; espousing a can do attitude and happy demeanour. You have made running interesting again to the media and the mass population – my kids love screaming “go Mo” when you compete on the TV. Thank you. 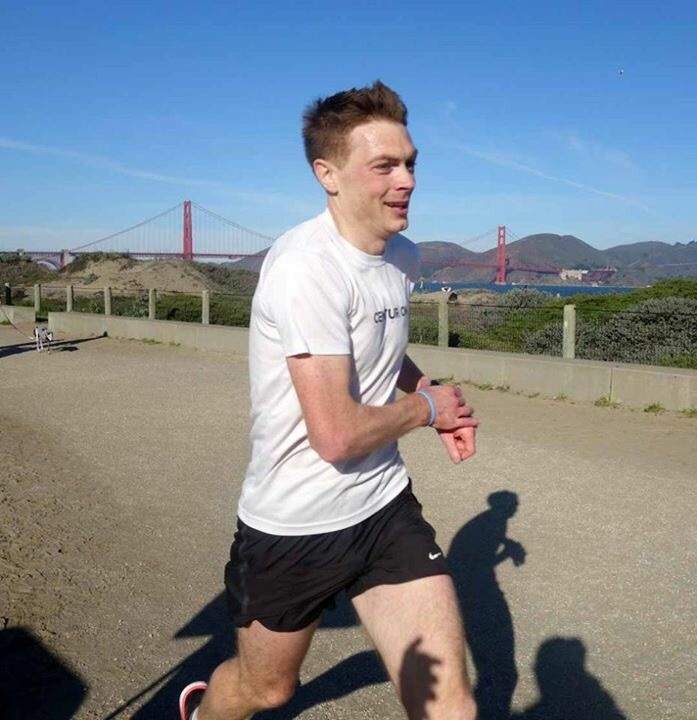 However, there is an odd thing that happens when I talk to other club runners – the sort of hardy knowledgable people who run most days and always go long at weekends. The truth is, they don’t identify with you any more. They cite the Great North Run ‘win’, the Twitter war with Andy Vernon and a general no show for cross country events in the UK. The recent accusations against your coach Alberto Salazar have provided a new and much more damaging excuse for them to dismiss your achievements. At the heart of this problem is the fact that you have a reputation gap between your brand identity and what your team advises you to do. Everyone has a reputation gap, but the bigger it is the less likely you can protect your reputation when a crisis occurs. To read that you have hired crisis experts to help protect you on the Salazar allegations is worrying. Yes, you need a short term quick fix, but please don’t ignore the reality that you also need to think long term and find a way to reconnect with your base in the UK; everyday runners. You must not allow your team to forget one of the key rules for anyone in the public eye; ‘never lose your base’. Firstly, please take part in a press conference or interview where you answer every single question journalists have for you on the Salazar allegations. I don’t care how long the press conference goes on, you shouldn’t leave until every question has been answered. You should have done this when the news of missed drug tests broke, or when you wrote on Facebook that you were staying with Alberto. It’s a shame that you were instead advised to release a statement that lacked personality (something you have bundles of). When you did speak to the media ahead of the Birmingham Diamond League event you came across really well in difficult circumstances; transparent, angry with the claims and, most importantly, honest. Let a hungry pack of journalists press you on the detail, and make it clear that once you have finished you won’t be providing a running commentary on the ongoing claims likely to come out about the Nike Oregon Project during the coming weeks and months. Secondly, please write a weekly blog or newspaper article about your training, outlining your ongoing highs and lows. Runners, and the wider public, want to know how you are getting on and learn from your training regime. It’s great you are on Facebook and Twitter, but we want something more meaty than pictures of you running round tracks looking speedy. Letting people inside your head ensures they feel connected with you and understand your motivations and drive. It engages then with compelling content and knowledge – ideally helping them get better too. Thirdly, and controversial I know, please engineer a race against Andy Vernon on the track in the UK. Other than doping accusations or world records, running doesn’t get much media interest these days. Athletic reporters are disappearing quicker than you do from the pack in a race. You tend to be the exception to this and command interest whatever you do. Running must harness that if we are to create better and more competitive fields. We all laughed along as you and Andy bashed each other on Twitter. It showed you are both human and care. Nothing wrong with that. But please use the interest it garnered to help running by having a smack down with Andy as soon as possible (possibly in aid of a charity such as Comic Relief or even your own Foundation). Clearly, you will win, but let’s play it up to the media like a boxing fight, with you being pictured squaring up to each other. And hugging and moving on when it’s over. I reckon you could gain at least two weeks coverage for one race if this was handled right. That would be good for running in the UK. Finally, please run the national cross country championships in 2016 at Donnington Park on 27th February. As I ‘ran’ this year’s race, through the quagmire of mud at Parliament Hills,I wondered how top runners like you would get on. All the best British runners have competed in this Championship at their prime. You have run it before. Yet, it gets zero coverage these days. The runners of Britain love cross country and these championships, and I heard many asking why you don’t run it, and how you might get on if you did. Please come and give our sport the recognition it deserves. If you ran, television cameras would be there and the sport would be broadcast to millions, instead of the several hundred brave souls who turn out to support on the day. And other top UK based runners might decide to compete instead of coming up with excuses for not doing so.This is one of the world’s great running events, it would be fantastic to see our best endurance athlete ever competing in it. These things are not big asks and I don’t believe they dilute your existing brand strategy or response to the Salazar allegations. You have the power to make people sit up and listen, and pay respect to our sport – which is now under attack. Your brand is strong, but it will only become stronger if you fill your reputation gap and leave a legacy of more people running more often, and preferably competing at a higher level. Put simply, we need more Mo Farahs coming through the ranks. Please do all you can to do that, and thus reconnect with club runners up and down the country.